Green Day’s album Dookie turns 20! 20 years ago today, Green Day released their major label debut album Dookie. This album paved the way for many bands including Sum 41, New Found Glory, and others with its short and fast rock songs that were relatable to the teenagers at the time. With classic songs such as “Welcome To Paradise”, “Basketcase” and “Longview”, Green Day introduced a new generation to punk rock, and the genre which had faded away years earlier, was cool again. 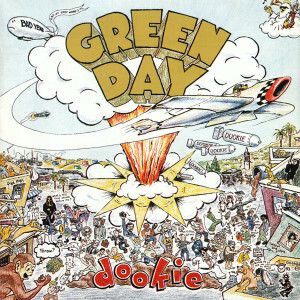 When I was about 14 or 15, Dookie was an album that I played on an almost daily basis. Like the generation before me, I was introduced to punk rock and to bands such as Operation Ivy, Rancid, and Minor Threat. While I don’t think that Green Day is that good anymore, Dookie is still up there as one of my favorite albums ever made. What are some of your favorite songs from the album? Is there a certain song that you connect with the most?